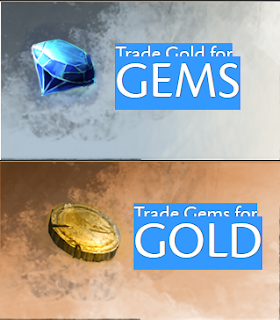 What can I purchase with gems on the Guild Wars 2 gem store? The Guild Wars 2 Gem Store is no doubt going to be a huge feature of the game. While no one is going to be able to spend money and become an elite player doing only that. There are still a number of other items that are sold on the gem store which are always going to be in high demand. I want to break down the gem store and its different categories for you guys today. Some of the categories have much more valuable items than others, but all of them have their own importance in their own way. So what are each of those categories? Let's take a look deeper into each category. Many of these items actually provide you a boost which can even help you make some gold – which is why I decided to cover it on this blog. If you're reading this post long after the launch of the game you can also reference the wiki which will be updated regularly. Okay, the style tab. This is the tab that has mostly vanity items and is the location of the aforementioned aviator sunglasses. In addition to the sunglasses there other items like a Cook's outfit, sports sunglasses, a ringmaster's hat, a top hat and many other things. Perhaps the item which I find to be most popular will be the transmutation stones. There are many different ones but they all do essentially the same thing. You can use them to combine the appearance of one item and give it the attributes of another item. It is because the transmutation stones that I think many people will be buying gems for years down the road. The second tab is home to all the consumables. The different consumables include a Dye Pack, Mystic Forge Stone and a mystic key. What are these? Well, I will tell you. A dye pack is probably the most obvious one. You can use these to change the color of your gear. When you buy a pack you essentially unlock that color and it can be used as often as you want. The second thing is the Mystic Forge Stone. I have to be honest I know very little about this because I didn't do a thing with the Mystic Forge during the beta weekends that I was a part of. What I know, only from the wiki, is that you can take these stones to the mystic forge and there is an NPC named Zommoros that can forge items for you. The last important item that is in this tab is the mystic chest key. Mystic chest key is as you can probably guess open up mystic chests. Mystic chests are spread around the world and when you open them they drop a gathering tool, boost item, a tonic and I believe even some gold. Everything that is picked up out of one of these chest is soulbound to your character so it's kind of a bummer, but she won't be able to sell your loot on the auction house for profit. Third tab, and my favorite, is the support tab. This one is where all the gems will be spent! I say that because this tab has the bag slot expansion. For 400 gems you get to add an extra bag slot to your inventory. You get four automatically whenever you create a character, but you need to buy the next three using a bag slot expansions. These cost 400 gems and these alone will keep gems moving for a long time. All characters need bags and all characters would ideally like to have maximum inventory space available. Thus, the bag slot expansion. The other items in this tab are more or less timesaving items. There is an instant repair canister will to repair your items without having to go to repair merchant. Then there is the black line salvaging kit as well which remove upgrades from all armor weapons and trinkets. Using a black line salvage kit gives you the greatest chance of having a quality item returned to you when you salvage an item. Fourth tab is the account tab. These are where you can purchase account service features such as world transfers and things like that. The wiki doesn't say anything about name changes, but I would imagine that name changes will also be bought from this when and if that is ever implemented. As a default you can only have five characters on a server at a time. Most people are going to stick with five characters for quite a while, but when it comes time to expand that you can also buy a character expansion slot as well. The last item is a bank tab expansion and I'm pretty sure you can guess what this does because you're smart. Your bank is shared across all of your characters and you can have up to eight bank tabs on your account. Using the bank tab expansion gives you 30 more slots. The fifth tab is the one that pertains most to us making gold and actually can help out those of us who spend extensive amounts of time crafting. It is the boosts tab. The boosts tab provides different boosts for different parts of your games experience. The one that pertains to us the most is the crafting booster. They cost 150 gems apiece and they improve your chance to score extra experience from crafting by 50% for one hour. I want to be clear it does not grant you 50% extra experience the entire time but only 50% extra experience when you get a bonus for crafting an item. In addition to the crafting booster there is also an experience booster, karma booster, kill streak experience booster, magic find booster and a multi-booster pack. The last tab is where you can buy minis. Minis are essentially mini-pets. You've seen them before in many other MMO's and they're in Guild Wars 2 as well. A minis pack costs 300 gems and it gives you three randomly selected minis. Two of them are common minis and one of them is uncommon. In case you didn't know – minis are just miniature versions of the different monsters that are in Tyria. That is the extent of this tab. Pretty mellow really, but lots of gems will be spent on mini's I can guarantee it! That is the big breakdown of the gem store that we will see on day one as far as we know. There are a ton of different items that are in the gem store and many of them will be selling four years down the road. The reason I talk about this on gold making blog is because the full of gems will be an important thing to follow if you want to make money. As someone trying to make gold we've essentially got two opportunities to make gold on every character that is made. We can sell the gems for them to buy their big expansion slot and we can also sell them the bag itself. The key to making gold with gems is trying to double up your sales of every item like that. Right now that is the most obvious one, but I will try to identify many more before the game launches and after the game launches as well. Thanks for your time everyone and I will see you tomorrow! Hey cool post. Thanks for breaking it down for us! do you think that the peak of the gem price will be at launch? so it would be better to buy gems and trade them for gold right at the start? What I saw in the Beta weekends were that the prices were highest shortly after the servers went up. Then they lowered to around 1 silver ea. I think that would be a good strategy if you are looking for quick gold. My hugest disappointment is that a minis pack costs 300 gems, that's just insane if you ask me. Because I'm guessing that if you're buying a lot of these packs you're going to get the same common minis over and over again...Let's just hope the minis isn't bind-on-pickup so you can re-sell them atleast.